The fruit and vegetable sector aims to gross nearly US$ 4.2 billion in export turnover this year, according to the Department of Crop Production under the Ministry of Agriculture and Rural Development. 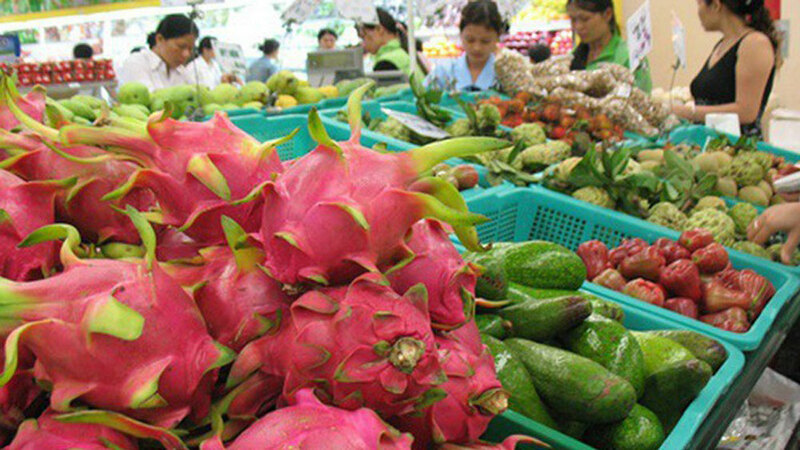 To realize the goal, the sector will expand the fruit area to one million hectare and develop five main fruits in southern localities namely dragon fruit, mango, durian, rambutan, and longan. The department recommended localities minimize the expansion of area under citrus fruit trees and shift to grow other high yield ones in areas where soil conditions are not suitable for those types of trees. Farmers will be guided to increase the use of new high-quality and disease-free varieties. In 2018, the country had 969,400 hectares of fruit areas, up 48,000 hectares versus 2017. The fruit-vegetable export turnover reached US$ 3.8 billion in the year, up 8.9 percent against 2017. China was the biggest fruit-vegetable importer of Vietnam with over 73 percent of the market shares. Vietnam earned some 3.3 billion USD from vegetable and fruit exports during January-October, up 15.5 percent from the same time last year, the Agro Processing Market Development Authority (AgroTrade) under the Ministry of Agriculture and Rural Development has said. Vietnam's fruit and vegetable exports are on course to exceed US$4 billion in 2018, with a strong annual growth rate of more than 14%. Vietnam’s fruit and vegetable export revenues were estimated at US$346 million in August 2018, bringing the total value in the first eight months of the year to US$2.7 billion, up 14.1% compared to the same period of 2017. The Japanese agricultural sector is facing difficulties due to an aging population and the disregard of the youth in terms of the industry, creating tremendous opportunities for Vietnamese exporters to promote the exports of fruit and vegetables to the market. With impressive growth rates over the past three years, Vietnam's fruit and vegetable exports are expected to hit 10 billion USD in 2020.